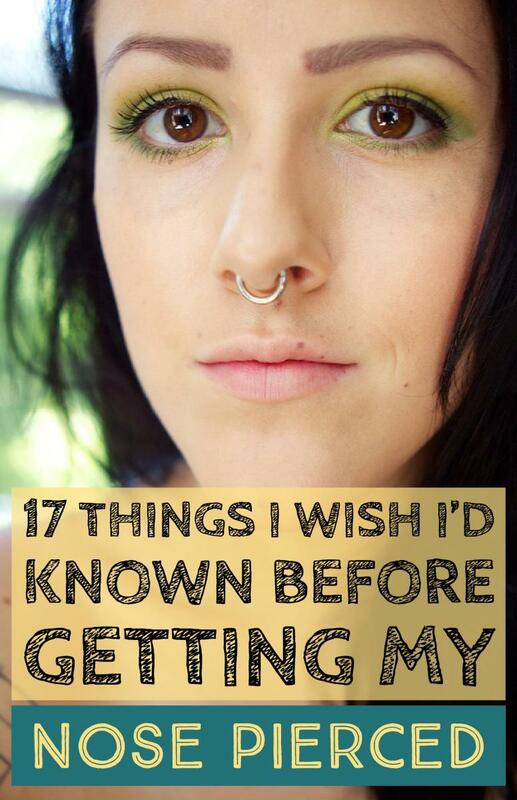 After getting my septum pierced, I wanted to pass on my story and advice to other people who are thinking about getting one. 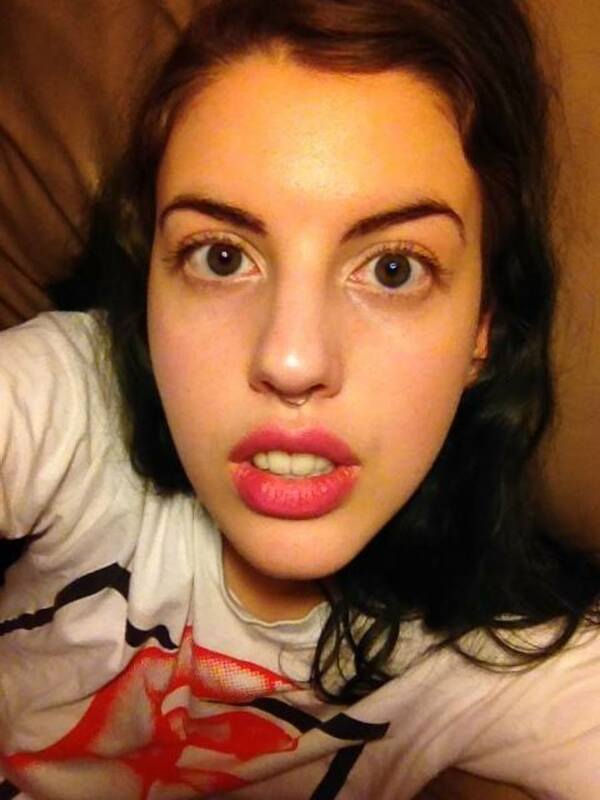 The fake septum ring that I wore on and off for a few months before I got it pierced for real. For my birthday in May of this past year, my aunts offered to pay for me to get my septum pierced as a birthday present since they knew I wanted it done. One of my aunts had had her ear pierced once or twice at Adrenaline Tattoos in Toronto, on Queen Street West (this is a very reputable place, and rather pricey), so she suggested I get it done there. We proceeded to Adrenaline on the day, where an employee confirmed with me that I wanted it done, and had me provide photo I.D. proving I was at least 18 years of age. 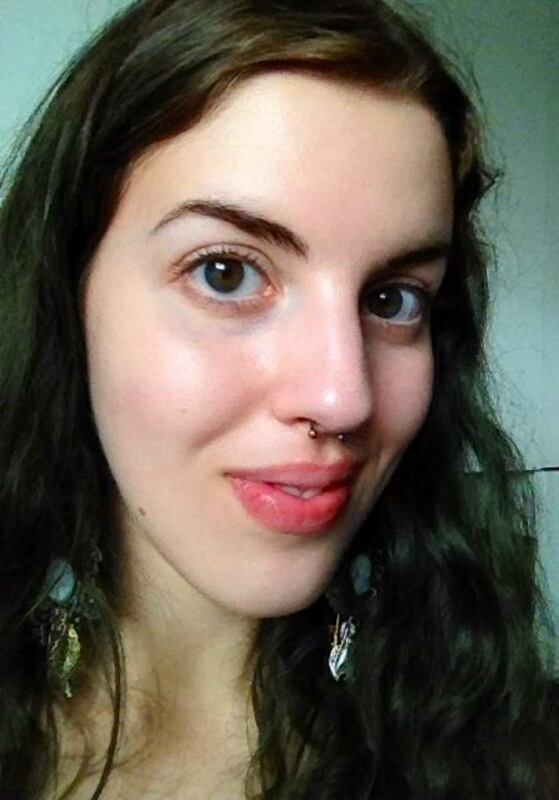 I signed a release form, and then we then picked out the colour, size, and style of jewellery I wanted to be pierced with (I chose a standard, surgical steel septum ring with two balls in the front, so that I could flip it up my nose if I wanted to hide it). I then sat in a booth in the waiting area and waited for my turn. I'm not going to lie; I was pretty terrified of what the experience was going to be like. I had never gotten a piercing before (besides my ear lobes, but my parents had that done when I was a baby, so I don't remember it), and I was scared it was going to hurt — a lot. 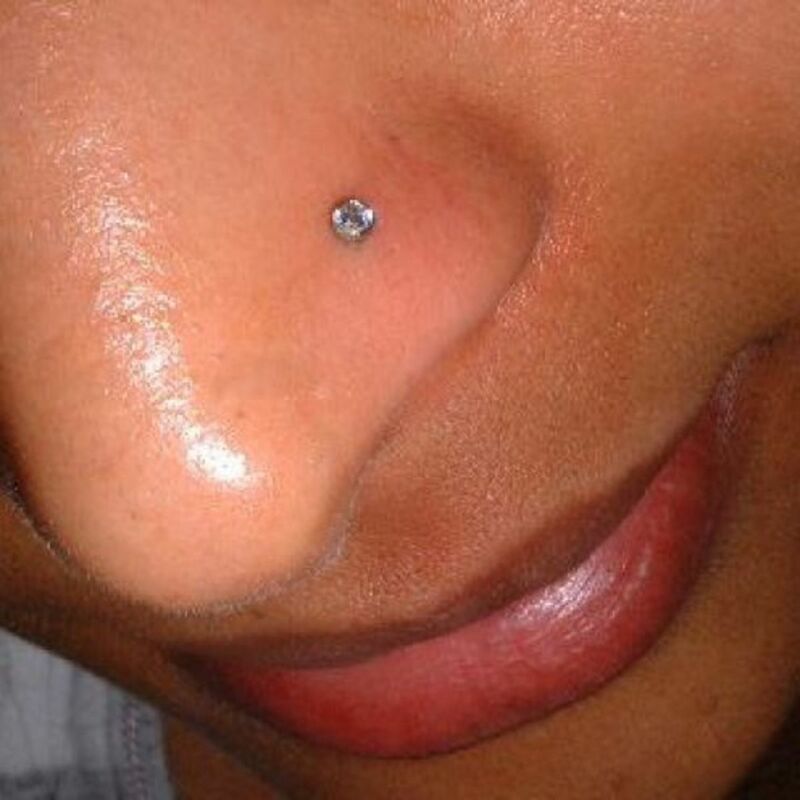 Family members who'd had the side of their nosed pierced before said that the experience was extremely painful, that they started tearing involuntarily, that it was the most painful piercing they'd ever had, etc. I expected my septum to hurt as much as that piercing, so I braced myself for the worst. However, I was totally wrong. When it was my turn, the piercer called me in and told me to take a seat on the padded table, similar to the kind you sit on at the doctor's office. She asked me if I was sure I wanted to do this and told me that I could still back out, but I gave my consent again, and she prepared for the piercing. She had a very pleasant demeanour and made small-talk as she put on gloves, sanitized the equipment, and opened the package of a fresh needle. She told me about what her experience having her septum done had been like, and reassured me that it was a very easy piercing to care for. She had just about every facial piercing imaginable, and they all looked healthy and well-placed, so I immediately felt comfortable with her and sensed that she knew what she was doing. First, she sanitized the inside of my nose. Then, she took out the clamp (to pass the needle through to ensure a clean piercing), and told me to tilt my head back, which I did. She looked up my nose and used her fingers to find the "sweet spot," a thin layer of skin that separates each nostril, and then clamped it with the clamp, which wasn't particularly comfortable. I was psyching myself up at this point, and prepared for it to really hurt. She told me to take a deep breath in and slowly exhale, which I did. 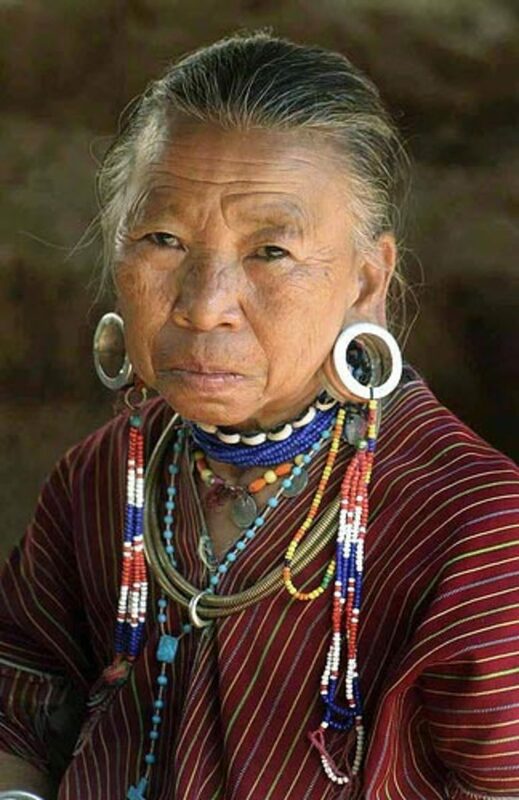 As I exhaled, she passed the needle through, quickly installed the jewellery I had picked out, and flipped it up into my nose as I had requested. All done! The actual pain of the needle as it quickly passed through my nose was nothing. It was a shock and a bit of a sting, but only for a quick second, and then it was through. Only one eye teared up a tiny bit! Overall I'd rate the pain about a 3/10, because it really wasn't bad at all. I've actually had needles in my arm that hurt more than this piercing did. NOTE: The reason that this piercing hurt as little as it did was that it was done properly, by an experienced professional. If the needle is not passed through the "sweet spot," but too far down, or worse, through the cartilage, this piercing can hurt a lot. Tip: Please go to a reputable place with a professional piercer, and pay the extra bit more that this costs. It's not worth risking having the piercing done improperly, become infected, or turn out crooked. After it was done, my aunts paid and tipped the piercer at the cash register, and I was given care instructions, a copy of the receipt, and a baggie of uniodized sea salt. We ate some Mexican food, and then I went home! Now the healing process began. The first day it was barely tender or painful at all. It wasn't until the next day and for approximately a week after that that the piercing was a bit sore, and the tip of my nose and surrounding area became a bit swollen (mild swelling is completely normal for a fresh piercing). The swelling was very slight and was noticeable only to me. On the first night, I commenced the sea salt soaks as instructed. To make a sea salt soak, you simply dissolve about 1/8 tsp of uniodozed sea salt in about a cup of warm water (I liked to fill the cup up with some boiling water and stir to dissolve the salt completely, then add some cool filtered water from the fridge to reduce it to a good, warm temperature). 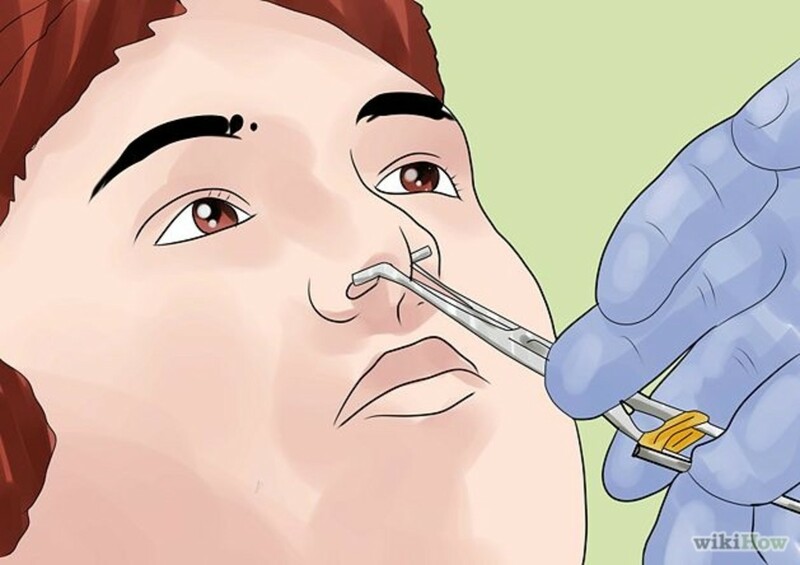 Then simply submerge the tip of your nose in the water, or you can pour some of the water into a shot glass and do the soak that way if it's easier. Soaking the tip of your nose in salt water for 5-10 minutes (I typically chose 7 or 8 minutes) isn't exactly the most convenient or comfortable experience, but it's necessary to do it once a day, every day, for at least the first couple of months, and then every other day for a month or two after that, or until the piercing is completely healed. Some people heal slower than others (including me), so be patient, keep up with your salt soaks, and eventually, your piercing will heal right up, even if it takes longer than the suggested 6-8 weeks. I'm a slow healer, so for me, I had to do sea salt soaks every night for around two months, and then every other night, or every two or three nights, for another month or so. The piercer told me that most piercings heal between 6-8 weeks, but my septum took a lot longer than that to heal completely. Part of this was due to the fact that I kept moving it around, fiddling with it, and scraping the crusties off of it constantly, which I didn't realize was not only unnecessary but actually irritated the piercing and slowed down the healing process. In retrospect, if I had left the piercing alone, I'm sure it would have healed faster. I had the piercing done in mid-May, and I wouldn't say it was completely healed until late August or early September, which means it took roughly 3 1/2 to 4 months to heal. As I said, it would have healed faster if I hadn't fiddled with it, so remember to leave it alone and touch it as little as possible while it heals!! This was a quick and relatively painless piercing. The healing time was a bit slow, but that's because I fiddled with the jewellery and am slow to heal generally. Overall, I'd absolutely recommend this piercing to anyone who's interested in getting it done. 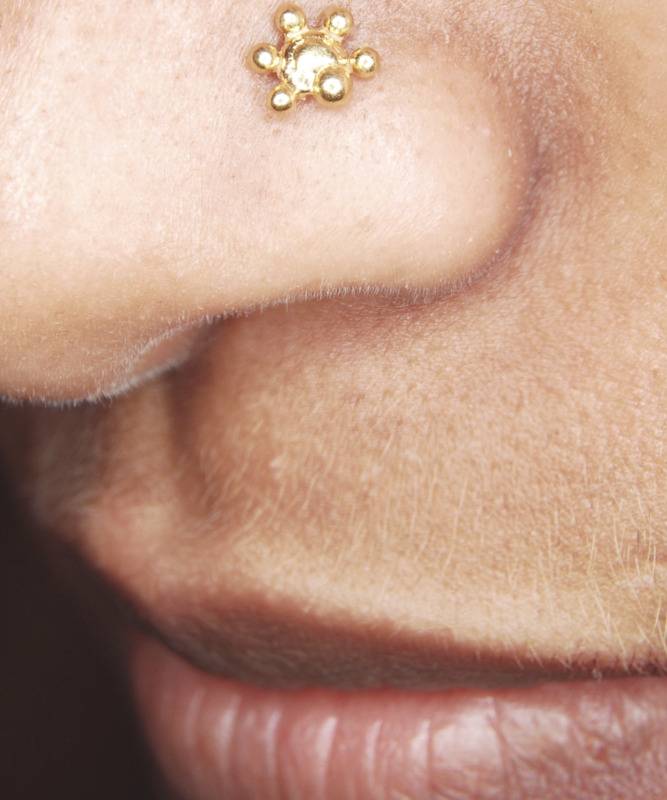 It's one of the simplest piercings you can get, and it's the only piercing I've seen that looks good on everyone who's gotten it. I just had my septum done a few days ago and oh my god. The lady who did it was an apprentice, but the main boss was helping her through it. She put the clamp in, and with no warning from her, she shoved the needle through and the needle came out the other side - without the jewelry on it. All I heard was “oh god” from both of the piercers. 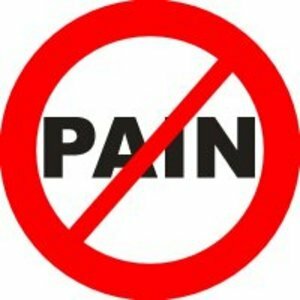 They made the pain a 8/10 because they didn’t properly do it. I’m still having issues with the pain, and I’ve been messing with it too much to the point where it throbs whenever I move my head. But otherwise, it looks amazing and I love it! I have female friends who got their belly buttons pierced and 90% of them says the pain is bearable. Maybe because of the thick skin layer of their bellies.I don't have a navel/belly button because I'm a male but I'm into my piercings. And I just want to share a body jewelry wholesaler I found online, achadirect.com where I got mine. They've got a wide variety to choose from at a good price although the minimum order is around 150$ or so. @Alexis I'm glad this helped! 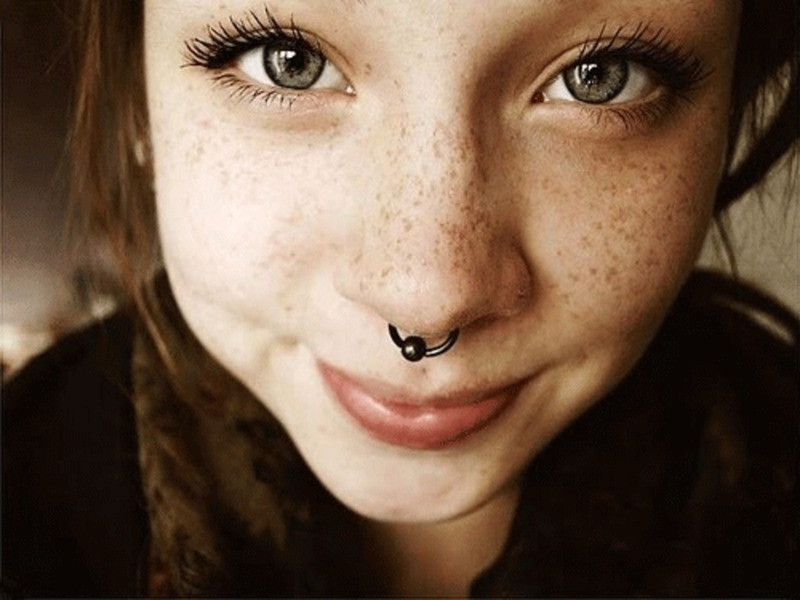 since you've had piercings before, a septum piercing will be no big deal :) I hope it goes well! So I'm getting mine done on Monday. I'm very nervous. But I was nervous with all my piercings. 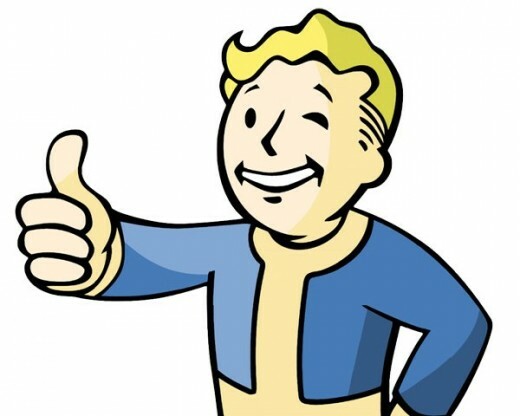 But the post is really helpful and it calmed me down a bit.